I am having a used sail( HSM Superfreak 8.0) shipped to me by land. In order have the best rate, the sail must be shipped in two packages: one for the 5 battens and one for the sail. The sail ( 8 m2) has a 507 cm luff ( 202") and is 220 cm wide ( 88") at its widest point. Being made of Dacron I don't see a problem in folding it up, except for the plastic window. There is probably a way to avoid folding over the window, but then the box will have to be larger and the cost will increase. Can I take a chance and have the shipper fold up the sail to the smallest possible size, regardless of the window? Otherwise I have to drive 6 hrs to pick it up. Dont fold it! Roll it, leave the battens in. I am not too sure I understand why it matters.. Anyway, it is from the Province of Ontario to the province of Quebec, in Canada, about 500 miles. This was the original plan and the most logical one. However I fiddled with the online quote system of the shipping company, by feeding different parameters and for reasons I cannot understand, I get a much lower price for two separate packages, one for the roll of battens ( 84" long, very thin) and the other for the sail folded up. The difference is about $ 40. Another option I have would be to pick it up at a midway location , because my seller will be there for business in a couple of weeks, but it would be a 6 hours drive and I prefer to avoid it, also because with the cost of gas it would be even more expensive. I was thinking that perhaps I wouldn't risk more than a few creases but I was not too sure. This is why I asked.. If I were to risk more substantial, perhaps irreparable damages, then I would drive down to pick it up. Fedex provides Intra Canada shipping. Your SF, is 90" long , 6x6 its weight boxed / wrapped is 18 lbs. The cost is based on length and girth, the weight only slightly enters into it. USA shipping coast to coast is $55. Shipping international ground from the US to Mont Royal, K3R 1K2, that's Quebec, is $57, plus import/ customs, shown as a cost comparison . So you want to remove the battens , and fold the sail ? I'm wondering if a hot iron could then be used to remove the folds? According to the Greyhound Canada online quotation, their shipping rate goes down considerably by splitting the shipment in two packages : one for the battens and one for the sail. It would cost me $ 45 CDN instead of $ 70. Don't ask me why, but this is their quote. $ 45 CDN is also considerably lower than the Fedexpress rate of $ 57 USD you gave me. No match. The Greyhound rate does however increase and come closer to the Fedexpress rate if I ship sail and battens in one package: about $70 CDN. But why should I choose the more expensive option? Folding a sail with monofilm window(s) will create a lot of problems for you in future. Avoid doing that at all cost. Depends how much you paid for the sail. But for 40 bucks extra postage wouldn't you prefer the item to reach you in good nick? ^^^^ don't listen to them, fold it. Then post the pictures so we can see the result. if one is so worried about that then combine the two options !!! 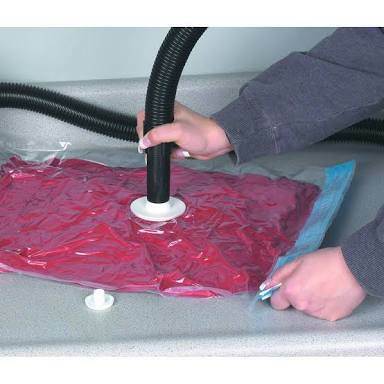 Use a vacuum bag to pack it up tight and you might be able to shave another $3 off postage!! You have read what others say on folding. If this is the option you intend to use, why fiddle **** with us mortals on this or any other forum. write Jeff Henderson and ask the best way to proceed with. using the Fedex Canada web site, using the dimensions I posted. And 500 value. fedex ground was $30.42 CAD. I did this again , this was $ 45 CAD .unknown why difference. you should realize that it takes a few minutes to obtain the postal codes and place into a shipping quote, point is I have taken the time to help you. Put it in a helium filled tube. It'll weigh nothing. Should keep th cost down. Are you hoping that the sail will last a very long time? If so, $40-$35 is chicken feed, spend the money and don't worry about it. That's just a dinner for two at a decent restaurant, and how long do those last? They get flushed the next day! Northwave, destroyed , never intended to actually sail, used to play with freestyle moves . Covered with 18 inches of snow, walked on by dogs and deer. the window is vinyl, thick, intact. Folded over 3x , with a 3 gallon bucket of water. Left for one day. i all let it in the sun, and perhaps try some additional heat to smooth the creases. 3hours after being unfolded , difficult to see any signs it were folded. being rigged would I feel that them out. would not ship like this as I wouldn't remove the battens . Fold it into a 14" x 24"x 4" thick packet, send it. And battens in a another package. Freaks have vinyl windows, can be folded without problems. ALL sails from 1976 thru 1985 were folded, and the battens were bent in a circle of that size. That's hundreds of thousands of sails delivered in that size package. I can see your caution. In fact I myself never thought of folding a sail. But then I don't know if the window of the Dacron-made Superfreak is monofilament. Maybe somebody can tell me . All I can tell you is that I once bought on E-Bay a N.P. vintage sail of the 90’s. 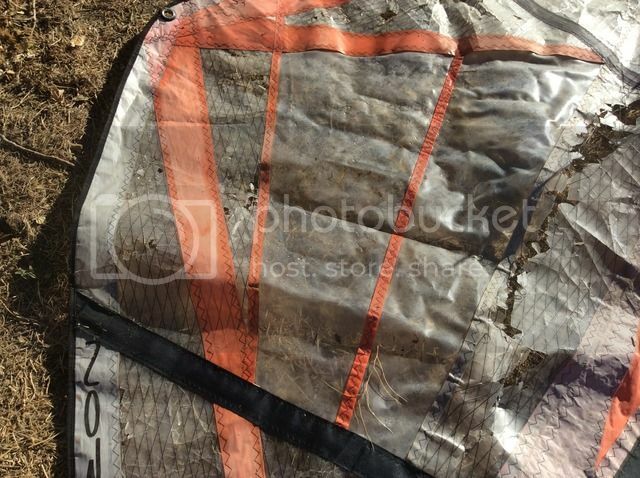 It was an 8.0 m2 Dacron-made sail, with the window made of a very pliable, but sturdy plastic-looking material. It came folded up in a box and there was NO PROBLEM whatsoever. The creases were barely visible and there was no crack. Actually, this is the way it must have been shipped originally by the manufacturer to the person who sold it to me, because it was FOLDED UP still in its original box, with the warranty and instructions papers inside. Probably a stock leftover, but NEW. Don’t ask me why ! Unfortunately I couldn’t use because it took an extra-wide competition boom ( almost 250 cm) and it was too hard to sail with it. Anyway, only $ 50, no big deal. This has taught me a lesson: always check the boom length ! On the other hand I have an 8 years old Gaastra Focus. I had removed the battens to do some minor modifications. The sail was hit by a wind gust which tipped it over. The fabric got bent and folded in one section. This was sufficient to leave small dents which eventually opened up in cracks . They are small, but they are there. I don't know if this was monofilament. All I can tell is that the sail was made of a sort of very stiff and thick, transparent plastic material. Very noisy, too. You could hear it crackling all over. Even pinching it by hand, would leave a mark on it, the beginning of a crack, which does not disappear.. Probably the sail was on the cheap end, too. If the Superfreak's window was made of the same brittle material, I wouldn't take a chance to fold it. Maybe somebody can tell me. Monofilament is fishing line, monofilm is what is used on sails. Monofilm is very noisy when shaken, it sounds like an empty bag of potato chips, and creases very easy, with a simple pinch as you described. It also degrades very quickly by the UV rays from the sun. It's almost never used for sails used in the surf, both for it's fragileness to the sun and surf. Good for race sails though, but it's best to keep them out of the sun when not being used. The other window material is vinyl, thicker, heavier, very strong, and quiet, it's what most all wave sails use for their windows. Superfreaks are wave sails, they use PVC window material, also know as vinyl.
" The large PVC window will not haze or cloud and it can always be kept crystal clear using any glass cleaner type product." 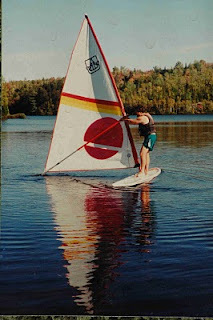 some now seem to be made with "slamlam"
my old Dufour Sail was folded many times !! This sail is to be folder ONCE, just for the shipping. No big deal. For those who wonder without having seen a Freak, they are totally foldable for shipping, but don't do it every day because you have to remove the battens and ensure the fold is not a crease.......just like sails from 1976 thru 1989. Forceten, I thank you for your help. I don’t agree however with your contention that I keep “ fiddling” when, according to you, I have I fact already decided in favor of folding the sail. No, I have not decided yet but..I am getting close ( this is why I keep refining the point) and, yes, I have read what other people say . You must have realized ( as I did, ) that, as the ..poll sample increases and other people weigh in,( leaving aside those poor souls who don’t seem to have anything more important to say than cracking jokes or sarcasms) there are some who are not against folding the sail. It all depends on the material. It makes sense. My experience with the Gaastra makes the point well.. I must also say that your Fedex quote is based on shipping from L7R 3x4 , which is the Burlington, On area, The shipper’s location is instead about 200 km further away from Burlington, in the Perth area. This must make a difference in the pricing.. Besides, I had already tried Fedexpress once. I had to ship to Sudbury,On. It was a 7 ft long box containing a sail and a boom. Fedexpress quoted almost $ 200 ! Luckily, I was able to make other arrangements. They are not cheap, if you don’t have a commercial account. AS matter of fact my seller had originally given me a quote for $ 100 on this shipment to Montreal. It was probably Fedexpress. But then I found Greyhound and they seemed to be a lot cheaper. AS to asking Jeff Henderson of HSM, I have kept trying for a while to post the question on their Forum. You kindly did it for me and Joe- the- Windsurfer too, I believe. They never answered. I think that I had already registered with HSM and that I had posted once in the past, but this time they don’t recognize my username and PW. I tried to re-register. Same thing. I get a message saying that I cannot login because they believe I am a BOT !?. I don’t even know what it means. There must be a glitch somewhere. I reported this by e-mail. Never got a reply. You should write Jeff at the address I gave you. Find a 13yo to help you out.